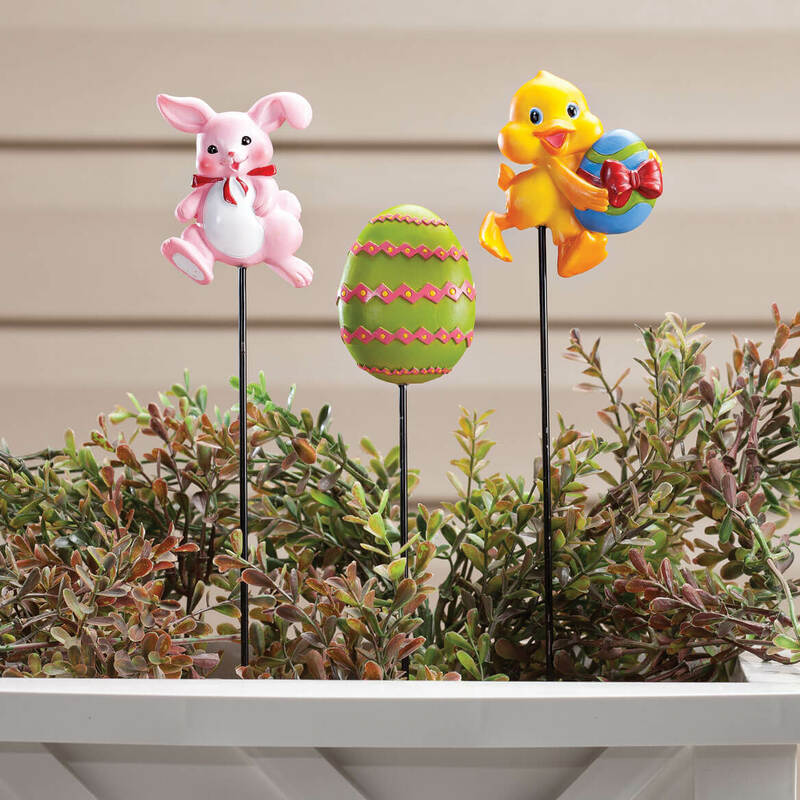 I decorate extensively for Easter and have a big Egg Hunt for family and friends. I love decorating for the different holidays and thought these would be perfect for my walkway . I tuck these in wherever I find a place! They look great poking out of a vase or planter! Fun for the flower beds. I decorate for Easter. Would like to have bought just Easter windsocks. Easter is coming up and I don't have many decorations for the holiday. I do have a main one and that is a lighted cross to remind us of what the season is about. But these are for the whimsy for my family and to remember when my kids were small. Now it's the grand kids. And just couldn't resist. 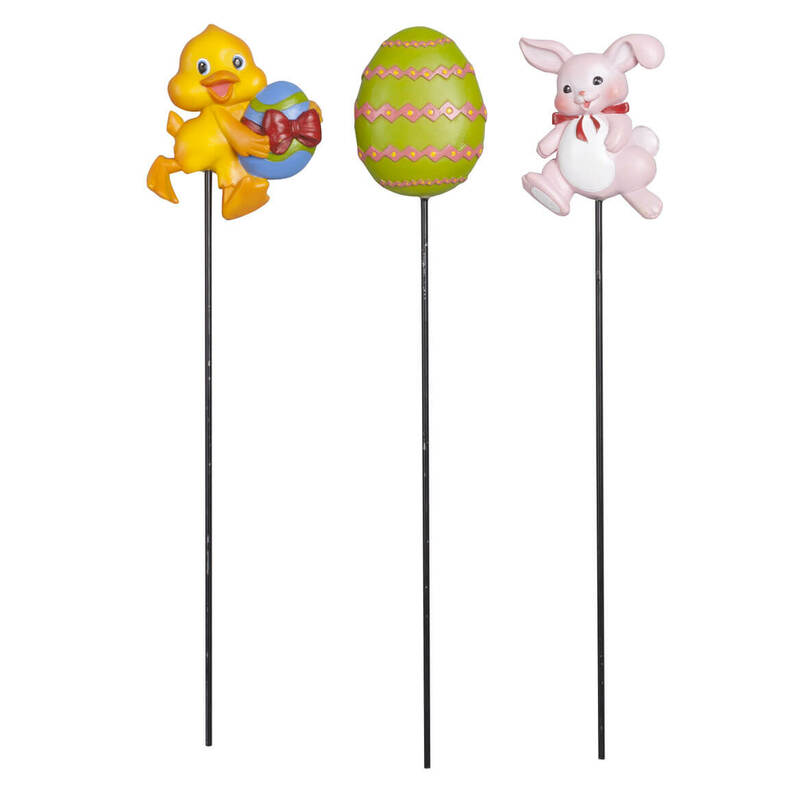 These adorable stakes will add the touch I'm looking for my front lawn. A nice festive touch . Easter, what a great way to welcome spring.